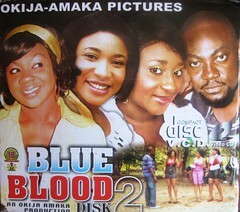 Nollywood Nigerian Movie Review – Ann (Oge Okoye) is due to get married to David (Nonso Diobi) and her whole family appear to be happy about it except her brother Mike (Browny Igboegwu) who accuses her of squandering his inheritance on a “man in the city” He says this because she sold some of her father’s property to help David set up in business. We soon learn that far from Oge’s father being happy about the marriage he has actually conspired with Michael to make sure that the happy couple are separated by any means necessary. 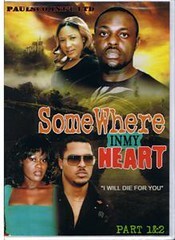 Barry is oblivious to the fact that the woman that Adeline (Jackie Appiah) he calls his wife is a notorious prostitute. Twice in once day they are confronted by men from her past. Both were robbed by her or her associates and one claims that on top of that he contracted a venereal disease. Barry believes his wife when she says that she does not know the men. The realisation of the truth only hits him when she runs away from the scene at the second confrontation, after all if she were innocent of the accusations why would she run away?